Always Hope is pleased to announce that we have added “sober vacation” or “recovery vacation”. This is an opportunity to bridge the gap for those completing their stay at rehab or for those looking for a safe and sober place to relax, unwind and get grounded in their recovery. 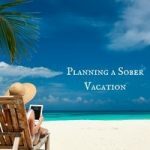 This sober vacation option allows individuals to share their experience, strength and hope with those that may be currently going through the treatment program with us. It is designed to allow you to put into action what you have learned and decompress while helping others see that recovery is possible. Private rooms, pool onsite, cool outings to the beach or hiking as well as the availability of 12 step meetings if desired. Stay for a week or choose to extend your stay if you desire. With a maximum of 3 guests at one time it will have the feel of a sober “bed and breakfast”. Call or message 1-829-932-0123 today. 1 week stay is US$1,500 (food onsite is included) and an extended stay is US$200/day. 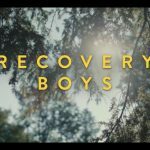 Recovery Boys on Netflix just came out on video and follows the journey of a few opiate addicts as they progress from active addiction to rehab and then life after. From my own personal experience with an addiction to opiates this movie provides a realistic view of the struggles to maintain sobriety and become a productive member of society. They start by entering a non-traditional farm rehab in West Virginia called Jacobs Ladder. It takes some of the similar approaches such as counselling, 12 steps that many rehabs employ, but it’s facilities allows the Recovery Boys to engage in more real-world activities during their stay. I personally feel the non-institutional environment is advantageous to help transition people from active addiction into society and is the basis of our program at Always Hope. Too many addiction related movies or documentaries imply that rehabs have to be hospital like and this is a scary proposition for people. I like that Recovery Boys shows raw emotion and struggles, it shows that not all rehabs have to feel like a jail or hospital and it portrays realistic outcomes. Unfortunately not everyone succeeds and recovers but whether it takes 1 attempt or 10+ attempts at rehab or recovery, I believe people make mistakes and need to be given a chance to change. I’m grateful for the chances I was given to change and hope more people will take the help available to recover. If you or a loved one is interested in our program at Always Hope we can help. Loved ones often notice the problem long before the individual who’s suffering directly with the addiction. I believe over half of those that contact me for assistance are family or friends. Those struggling with substance-use disorders or alcoholism often have very little awareness of what options or support is available. Support groups like Alcoholics Anonymous and other 12 step groups attract huge stigma, I used to think the same. In my case it was ignorance to what the program entailed and I didn’t want that label attached to me. Once I learned more about AA I realized it was a blueprint for living life on life’s terms. People tend to reach out at a point of crisis. 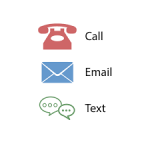 Our phone rings when the consequences of someone’s drinking, using or behavior start to have a drastic impact on their life (loss of job, driving license, relationship breakdown, health issues and so forth). How can ‘we’ help earlier? 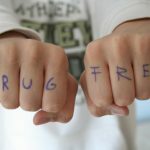 What education is available around addiction? (We go talk to students and allow them to drive the conversation and ask anything in regards to addiction) How do we prevent so many from the slippery slope from socially acceptable drinking to problem drinking to dependency or cross addiction into other drugs? More employers are reaching out to us, which is really positive, they care about their employees and want the best for them. The most serious and determined to get help call my phone 1-829-932-0123 , those that are semi interested might text and those that may be only seeing what options are out there usually email. Addiction and alcoholism does not discriminate and we hear from all ages, nationalities and demographics. 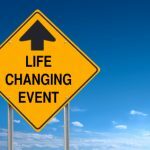 When I share bits of my struggles with addiction in the past they feel a huge relief. For many, knowing that I’ve lived through a similar hell and found a way to recover gives hope that recovery is possible. Many are so thankful that someone would listen, too many help lines go unanswered. Wether it’s the middle of the night or if I’m in a meeting or family commitment I answer the call. Giving someone my time and letting them now there is hope also helps me remember when I was in their shoes and I never want to be in that position again. 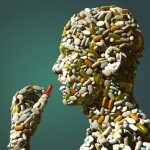 These are just a few insights I’ve gathered after years of trying to help people recover from their addiction. If you or someone you know is struggling call now, we can help. Wether it’s just an acute (not chronic) case of insomnia, sadness, grief, depression or pain; the answer seems to be to get some form of 100mg “NUMB ME NOW” pills. I know! That was me in the past and I had dappled in anything that would stop me from feeling. If it was prescribed by my doctor or something I bought off the street was of no concern to me, I just wanted something to numb me. It doesn’t specifically matter what the symptoms are and the substance of choice is irrelevant. 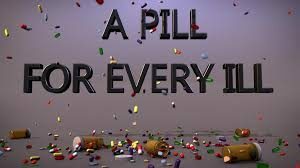 It just seems socially acceptable now a days to either get drunk or pop some pills to try and get some reprieve from the stresses of life. Call 1-829-932-0123 today for help. Society is moving towards an attitude of instant gratification and “a pill for all ills”. It is becoming far more important for all to become educated on “what and why” we are putting into our bodies and what the long and short term consequences will be. It is inconsequential what the substance is; it could be alcohol, street drugs or whatever 1000mg “NUMB ME NOW” pills your doctor prescribed. Any of the above can lead you astray and down a slippery slope that may eventually lead you to become dependent and addicted. I’m not trying to say that prescription meds aren’t effective, but more often than not there is a healthier way to deal with life’s ups and downs and also pain, depression, anxiety etc. There is no “one size fits all” remedy for dealing with these obstacles and challenges but there are many options. 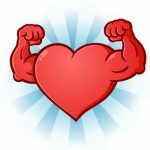 The multitude of self-help books and websites on the internet should provide some insight into possible healthy solutions. These can range from natural homeopathic treatments, exercise, meditation etc. These healthy alternatives may not give immediate relief and will take time to get the desired results, but the long term effects won’t be detrimental to your mind and body. Please think twice before running to a doctor to get some 1000mg “NUMB ME NOW” pills. I came to Always Hope not knowing what to expect. At home some people I knew had worked with Jim (counselor) and knew Roger and Shauna (owners) and had the utmost praise for them. Now, after being here for a month I feel the same way. Jim is an amazing counselor with the knowledge and experience with alcoholism that I was looking for. I really could relate to him. His approach to working the 12 steps helped me to fully understand and incorporate them into my life. I look forward to our new found friendship an will be a little more at ease in my recovery knowing he is a phone call or text away. I can’t say enough about the generosity given by Roger and Shauna. To welcome me in to their lives was truly a blessing. I felt like part of the family and their 2 sons were always guaranteed to make me smile or laugh. Their story also helped me trust where I was because they too know the plight of an addict/alcoholic. The facility is beautiful and is located in a safe gated community. I had a private room and if I felt I needed to be alone I knew I could. My anxieties about location and safety were quashed the moment I set foot here. Always Hope made sure I wasn’t cooped up and constantly stuck with my thoughts. We all need an escape on occasion and especially when you are required to look at your horrible drunk self through a magnifying glass. We went to multiple beaches, visited a farm, walked every day and even went to the top of Mt. Isabelle de Torres. The outings were one of the highlights for me and helped me immensely with my recovery. They were a great opportunity for me to sit back and reflect on what was really at work here which was me getting healthy and sane. The food was fantastic and I even gained some weight (I was very underweight when I arrived). And about once a week we were lucky enough to eat out and enjoy some local cuisine. Make sure you try all the different fresh fruits. I came here anxious, tired and hopeless. My life had become so unmanageable that my only options were death or sobriety. I made the choice for sobriety because I knew I had so much to live for and wasn’t ready to continue my slow agonizing suicide. I had been drinking every day for at least 10 years or 3600 days and now I feel the best I have in almost a third of my life. My experience has been fantastic. The 12 steps have really made me open my eyes to understand who I am and what is needed to recover and stay in recovery. I have learned a new level of respect for myself and others and I have learned a most gracious lesson in humility. My higher power whom I call God is now someone I turn to every day for guidance. I had abandoned Him for so long but I knew he never abandoned me. Spirituality and surrendering to your higher power, whoever are whatever that may be, is in my opinion the foundation of the 12 step program. I will be forever grateful to Jim, Roger, Shauna and their boys for helping me on my journey of sobriety. My disease is not curable but they have given me hope knowing that the tools supplied to me at Always Hope will make my disease of alcoholism manageable. I love the mantra “One day at a time” and will live my life accordingly. Thank you Always Hope and anyone seeking a new better sober life please consider Always Hope. It changed my life and I’m glad I didn’t go anywhere else! As someone who was 110% against the idea of rehab I cannot say enough good things about Always Hope! From the moment I met Roger and Shauna at the airport they made me feel like part of the family and no judgement was made. My stay at Always Hope really was like a mini-vacation with therapy. 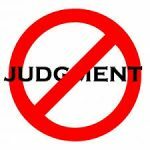 It was nice to be surrounded by people who been where I have and in an environment where judgement doesn’t exist. Always Hope has changed my life and I’m lucky to also now be able to call Roger, Shauna and Jim my friends. 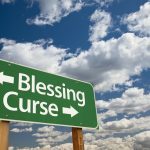 Was My Addiction a Blessing or a Curse? I am a cocaine addict. In fact, I am proud when I say that now. (in this new life of recovery). Thanks to @Always-Hope.ca, I am slowly finding new ways of living life in sobriety, thanks to the tools I have now been given to handle situations that truly used to baffle me. And the best part is – I am loving each and every moment of it! To be eternally grateful for a life I could only imagine in my addiction; has turned out to become one the biggest gifts I have come to experience. A new life in recovery. I call it a miracle, or some may call it a blessing – whatever it is, it is magical. For somebody who never had faith in God, it seems almost surreal that a higher power of some sort could restore (people like myself) from a completely hopeless state of mind, body and soul. Especially when I resented the very thought of such an entity. In fact, I hated god in the early days of my life. I was at the very tip of a very steep dark powerful, cunning & baffling slope, lost, full of fear, some lies, resentments and a relapse. I had know idea what to do, but knew i needed to get away. A handful of opportunities that i have worked hard towards right in front of me and if i didn’t deal with all that was within right away within no time I would have hit the bottom of that slope which could have easily been death. It was truly a blessing when i was sitting in my vehicle with a very special person who has worked with me and my addiction issues for the last few years, I was crying confessing to my feelings and were I was and how scared I was to quickly loose all. i said I just need to find my self, redo my steps the way they are to be done and not my way lol…. She suggested I call Roger from Always Hope and explain my situation, where I am at and what I would like to accomplish within the program. He said they are able to help please come. I left within 4 Days for Always Hope to work with Jim Maclean Head Counselor. Long story short it was more that I could have ever expected in all ways it was more than I could have ever hoped for. I found myself again. Ive regained my hope and faith in myself i haven’t truly had that in a very long time. I am sticking to the program and my exit plan, I haven’t been able to do that in 15 years, and it’s not a struggle not to use. For those who are still suffering/struggling with addiction or even just lost or need to get back to the basics please do not hesitate call Roger, talk to Jim and go !!! It could save your life !!! It sure has mine !! From my perspective of once being in the position of trying to manipulate, making excuses or lie to prolong getting the help I knew I needed. To also witnessing this happening when adult children lie, manipulate and make every excuse as to why they are now ”cured” and don’t need any help or counselling. It breaks my heart seeing these “kids” convince their parents to rescue them again or “bail” them out of rehab. Tough love is sometimes neccesary. Many of these parents have spent a lot of emotional and financial effort to give their child a chance at getting professional help and are trying to save their children’s lives. Is your child acting like they are entitled to things or your money, or demanding things? Do you feel like you are living from crisis to crisis with your child? Are you sacrificing too much while your child takes no responsibility? I am a heroin addict, now addicted to suboxone. I had been taking suboxone for two years when I tried to quit for good. I lasted a week then relapsed. I knew I needed help and could not do this by myself. I searched around for rehabs. I had no Insurance and not a whole lot of money, at least not as much money as rehabs in the states wanted. That is when I found Always Hope. I came here excited but scared, excited to see a new country I have never been to but scared I was going to have to kick the suboxone again. I saw the doctor upon arrival and we set up a plan for my inevitable detox. To my surprise it wasn’t nearly as bad as I thought it would be. I got settled in pretty quick I had my own room and started counseling with Jim the next day. Roger took me to play basketball and get some exercise that night followed up with some coconut water, and I felt pretty good. I had to fight through a couple days of not feeling my best but I must say, I felt way better this time then I did alone at my house. I got into a routine, waking up early, working out, playing basketball, going to the beach, seeing things and places I have never seen in my life. A week had past and I really felt great. This was turing more into a caribbean vacation. I was still doing my counseling during the day but I was seeing beautiful beaches, and amazing waterfalls it was a real treat. These days out really made me forget about everything and just enjoy life. I am very grateful I was able to come here, get clean, and leave with a solid plan for my future. Not to mention a great tan! Thanks Roger, Shauna and Jim. Call or text 1-829-932-0123 to see how Always Hope can help you.